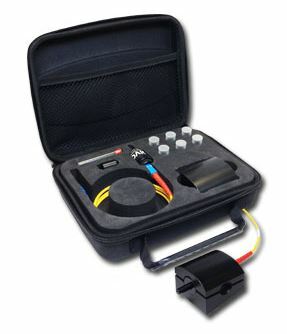 Includes: Case, Divot® module with 2 patch cables, 6 OCC Cartridges, 40 pc Vial of Clean-out Wire, Clean-out Wire Guide, Desktop Holder/Mount and Instruction Sheet. Many combinations available, not all listed. Please contact us if you need an combination that is not listed. Includes: Case, Divot® module with 3 patch cables, 6 OCC Cartridges, 40 pc Vial of Clean-out Wire, Clean-out Wire Guide, Desktop Holder/Mount and Instruction Sheet. Many combinations available, not all listed. Please contact us if you need an combination that is not listed.